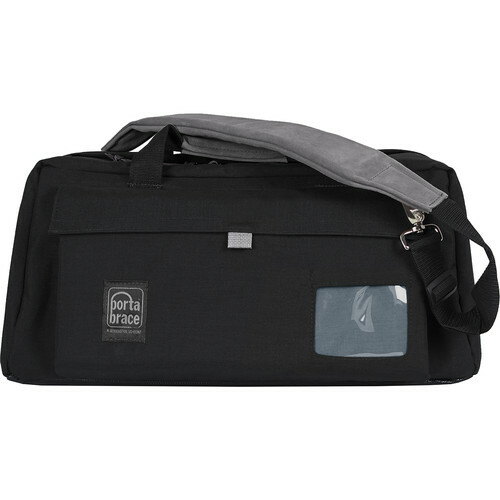 The case is designed to carry and protect various model camcorders and accessories. The case has a removable, small, padded pouch, one large exterior pocket that holds a rain cover, cables etc. and a wide slip pocket for balance card, owner's manual, maps, airline tickets, etc. The case is carried by two suede leather-covered hand grips or a removable, adjustable shoulder strap with suede leather-covered pad. Box Dimensions (LxWxH) 21.0 x 13.0 x 9.0"